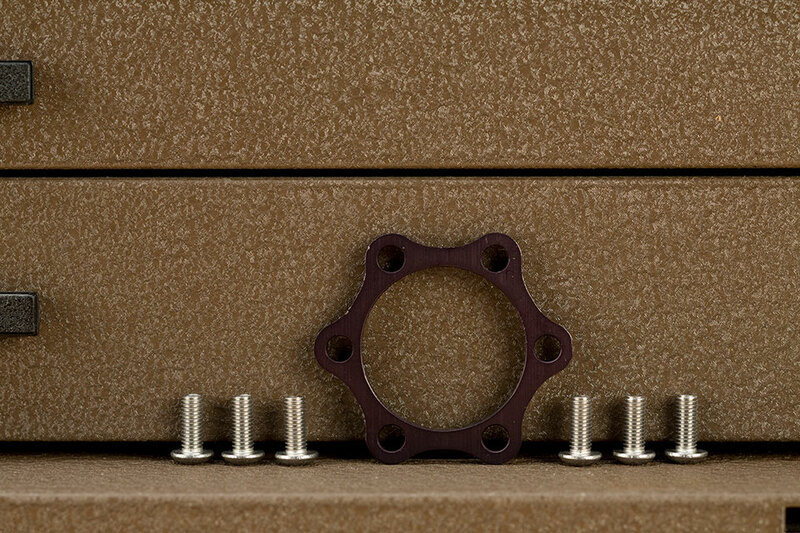 If you have a REAR rotor spaced hub and want to put it on a FRONT rotor spaced fork, this spacer will space your rotor out 4.8mm and provide longer mounting bolts to finish the job. Victory is yours. Way back in the infancy of fatbikes some clever engineers found all sorts of interesting ways to use a 135mm rear hub as the front hub. There were no other options for hubs, and they made it work. Kudos to them. Now there are a whole bunch of different specifications floating around for fork and front hub disc brake spacing. Forks for fatbikes in 135mm quick release spacing are generally available with FRONT or REAR rotor spacing. Rear hub rotors are 4.8 mm closer to the centerline of the hub than a front hub. Front rotor spacing is now becoming more common as more manufacturers produce products specific for fatbikes. Our spacer may help you make your old front wheel work with a new fat fork.